Kosovo may head to early parliamentary elections due to disagreements within the governing coalition. Disagreements also relate to the high tax introduced by the government on imports coming from Serbia and Bosnia and Herzegovina. This tax has also deteriorated relations between Kosovo and its main ally, the US. Democratic Party of Kosovo (PDK) on Saturday held a meeting in the second largest municipality in Kosovo, in Prizren. PDK has also proposed the name for the new Prime Minister of Kosovo. Vice chairman of the Democratic Party of Kosovo, Enver Hoxaj said that PDK is the only political party that could restore the faith of the international community and citizens on the country’s institutions. “Being a party of hope and optimism, we need to restore trust on the state. PDK is the only one who can do this. The only one who will be able to do this is Kadri Veseli once he becomes Prime Minister of Kosovo”, Hoxhaj said. 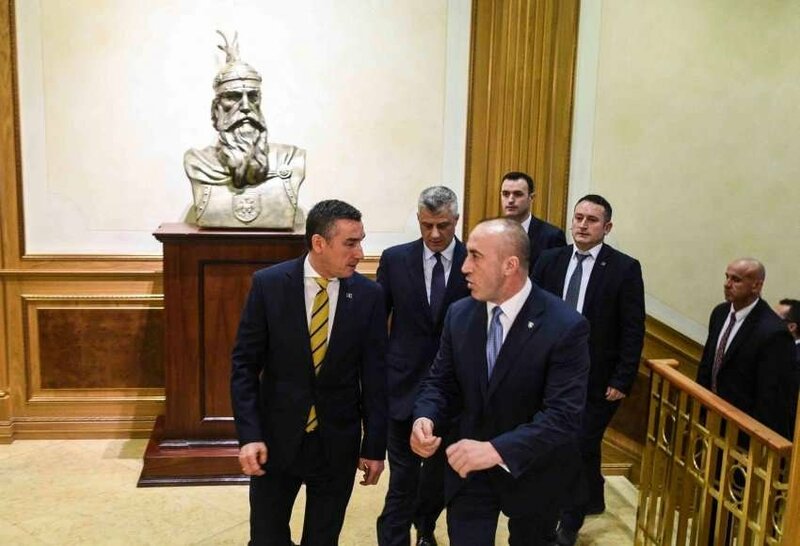 Alliance for the Future of Kosovo (AAK), led by current PM Ramush Haradinaj, says that the statements made by PDK are not considered to be a threat for the governing coalition. Sources from this party say that this is a matter which regards PDK’s internal elections. AAK’s lawmaker, Rasim Selmaja says that this party doesn’t see these statements as a threat. According to him, the ambition to come into power is quite normal. Meanwhile, it’s been a while now that governing coalition partners have threatened to topple the government led by PM Ramush Haradinaj due to his refusal to lift the 100% tax introduced on goods coming from Serbia and Bosnia and Herzegovina.